Is this a prelude to T-Mobile’s Un-carrier 9.0 event planned for March 18th in New York City? Who knows. What we do know, is that Team Magenta is offering complimentary upgrades for a select few customers, giving them unlimited LTE data from April 1st through December, 2015. It is not an April Fool’s joke. The only thing we do not know for sure is how T-Mobile is choosing which lucky customers will be offered the deal. T-Mobile customers selected for the promotion will get a text message with the offer. Sound too good to be true? It really depends on the fine print and how you use your service. If you have a high-speed allotment for tethering, then that quota remains. If you have Rhapsody unRadio, a complimentary subscription offer to T-Mobile customers allowing unlimited skips and no ads, you lose that feature. Another feature that is removed is Data Stash. While that arguably does not matter with this promotion, who knows what T-Mobile’s rate plan structure will look like at the end of the year. Given T-Mobile’s consumer oriented marketing, headed by John Legere, we suspect those lucky few will enjoy their unlimited data, should they choose to accept it. Are you a T-Mobile customer? Were you offered this promotion? Did you take it? s**t id take it if i was with Tmobile and they offered. 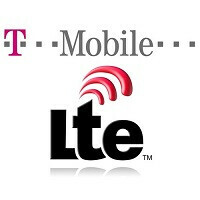 uncarrier 10.0 should be UNLIMITED 4g LTE FOR EVERYONE!!!!!!!!!!!!!!!!!!!!!!!!!!!!!!!! My brother is on my family line and I got a text few days ago that his line will have unlimited 4G LTE data until the end of the year. That came out of no where since he barely uses his 3GB monthly data. My brother and I received the same text on Thursday , thanks, T-Mobile! What plan do u have? It's my brother's plan actually and I need to see the exact details for you. I know that we have 3 lines all together, 55/each for the first two lines and my line is 15. The first 3G at high speeds, the rest ulimited. ... this is due to the FCC Net Neutrality ruling banning favored throttling like that rhapsody service that tmobile has to offer them an "extra" to remove a feature? If I can choose,i will choose unlimited 3g instead of limited 4g and unlimited 2g. I already pay for unlimited 4g LTE from T-Mobile. $70 bucks for unlimited everything is a sweet deal! I just got the text message yesterday. I will be taking advantage of the free upgrade.